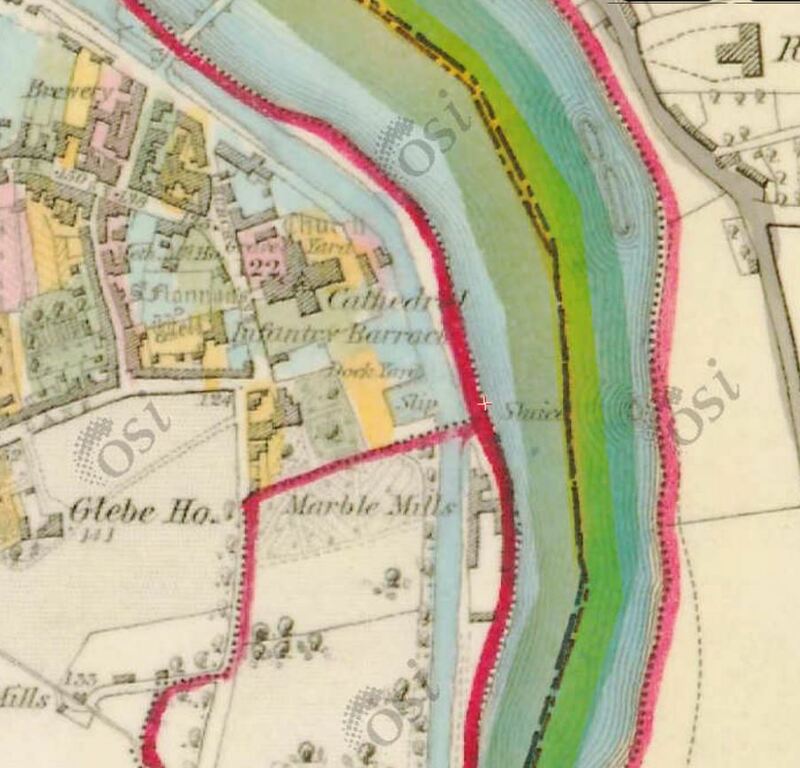 This entry was posted in Ashore, Built heritage, Canals, Charles Wye Williams, Economic activities, Engineering and construction, Extant waterways, Historical matters, Industrial heritage, Ireland, Shannon, Steamers, waterways and tagged Killaloe, Manderson, marble mill. Bookmark the permalink. Hello Brian. 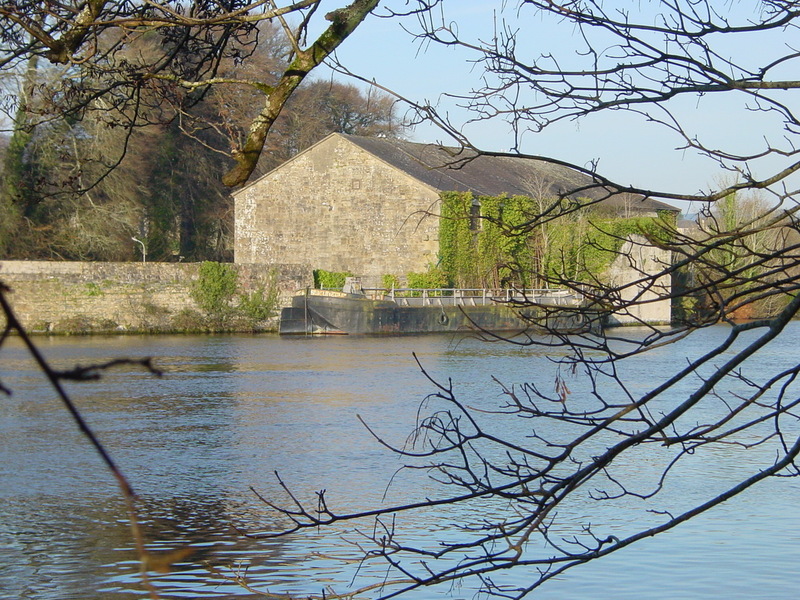 A million thanks for the additional item on Killaloe Marble Works, the mill as you know still stands and is in use by the ESB as a maintenance yard, for works in connection with the headrace and tailrace feeders for Ardnacrusha.Â I believe the mill once had a water wheel, used to drive the machinery used in cutting and polishing the marble. We have discussed this aspect before, but on given my sight on the subject, given this item, i thought i should reply and say thanks. Enclosed are two photos showing the little wagon, used by the marble mill for moving the slabs of marble to the circular saw, it was built like this, or in the least we think it was, although there were other wagons used to move the marble from the quayside into the mill, probably all pushed by hand, the gauge of this little wagon, is unusual at 2ft-4in. The photos show the wagon being recovered from the top floor of the mill, where the wagon had sat, in use as a kind of mobile bench, although there never were any rails up on that floor. The ESB just adapted the wagon to suit a particular need. The second photo shows the wagon in the ESB yard, prior to removal to the Irish Narrow Gauge Trust at Dromod in Co Leitrim in 2007. So a little bit from the old days of the works has been saved for posterity. Kind regards. Andrew.